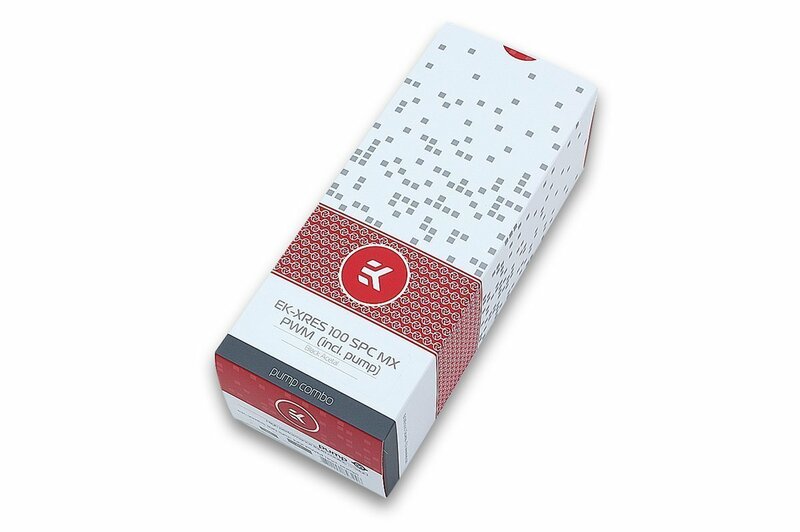 EK-XRES 100 SPC-60 MX PWM (incl. 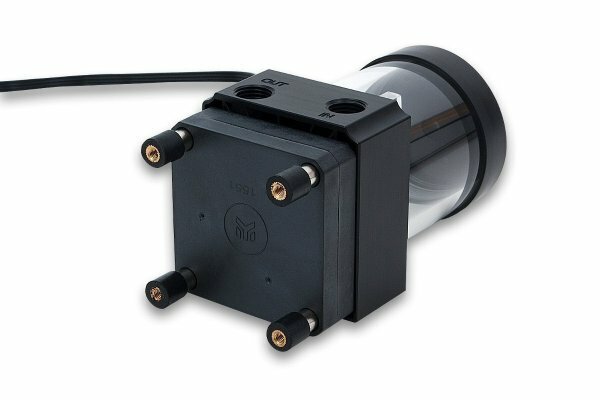 pump) is a value oriented water cooling pump reservoir combo. It has been designed to lower the production costs yet still offer great hydraulic performance at the best price. The core of the unit is EK-SPC 60 water pump that uses only a 4-pin PWM FAN header for operation; no MOLEX connector is required! 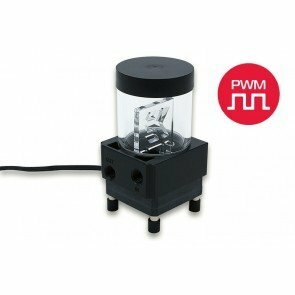 PWM control will allow you to set automatic pump speed regulation depending on your CPU temperature. Full performance on demand or whisper quiet operation in idle mode! 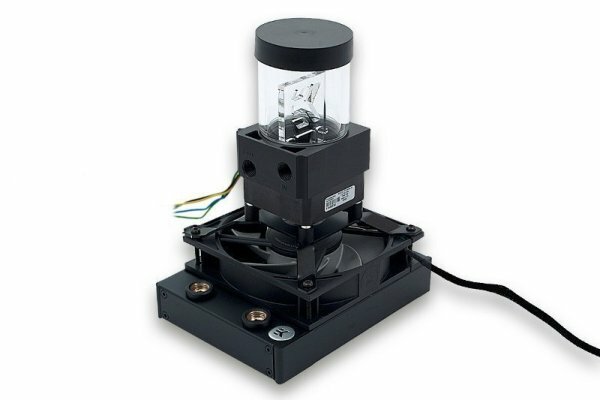 With the maximum pressure head at 3.2m (10,5 ft), maximum flow at 450 L/h and a very compact form, we recommend this pump reservoir combo for smaller builds, particularly if you are assembling your custom loop in a mini ITX case. EK-XRES 100 SPC-60 MX PWM series reservoir comes preinstalled with anti-cyclone insert. Additionaly a PU anti-vortex foam is enclosed. The main body features two G1/4 threaded ports of which one is an inlet (in the reservoir) and one is an outlet (from the pump). 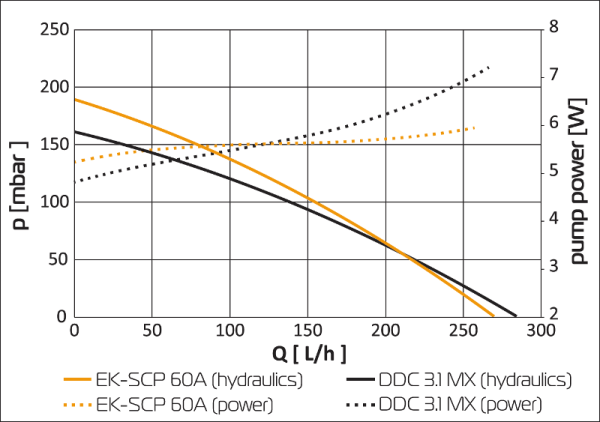 EK recommends the use of EK-ACF series compression fittings. Pump electrical and mechanical properties: – Motor: Electronically commuted motor – Rated voltage: 12V DC – Power consumption: 6W – Maximum pressure head: 3.2m – Maximum flow: 450 L/h – Maximum system temperature: 50°C – Materials: PPS-GF30, EPDM O-rings, Aluminium oxide, graphite – Power connector: 4-Pin PWM FAN connector Technical specifications: – Reservoir diameter: 60mm – Reservoir free volume: ~ 125mL – Unit measurements: 68x67x117mm – Mounting hole pattern: 50x50mm Operational regime: – PWM duty cycle: ~ 20-100% – Default behavior: Runs at 100% duty cycle when no PWM feedback signal is present Enclosed: – Pump reservoir combo unit – Mounting material – Allen key – Anti-vortex polyether black foam – Installation manual Made in Slovenia!